Silver Belly Bars and belly rings with extra sparkle....Designer belly bars with high quality solid sterling silver designs, dangle belly button bars in lots of new styles, body jewellery for navel piercings set with high quality crystals, available in many beautiful and unusual dangly, reverse and fixed designs. 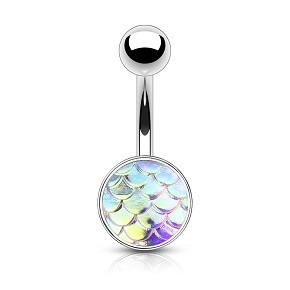 Silver Belly Bars which are new in stock include dangly belly bars with sterling silver butterfly and teardrop dangles, large skull belly button bars, long crystal drop navel rings, unusual reverse belly bars, titanium belly bars with sterling silver dangly dream catcher designs, pretty crystal flower design belly rings, dangly arrow navel bars, and crystal dangle belly bars. 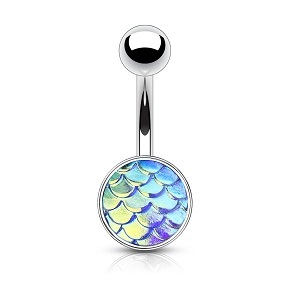 Our 925 sterling silver belly button jewellery collection is the largest we have ever stocked, and we are still having new silver belly bars arriving weekly. 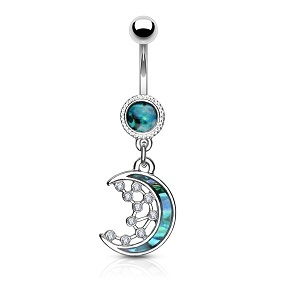 Our new range of dangle belly bars includes dangly heart belly rings, long dream catcher belly button bars and cross dangle belly bars, and we have also added to our fixed belly button bars range with unusual designs including, pretty faux gemstones, animals, flowers, zombies and reverse crystal belly button bars..
All of the bars used on our belly piercing jewellery are 14 gauge(1.6mm) thick, which is the standard thickness for belly button jewellery, and we use UK supplied high grade surgical steel or UK supplied titanium bars for our body jewellery whenever possible. 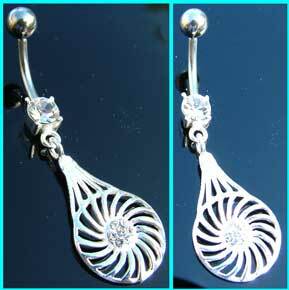 Belly bar lengths we supply are 6mm,8mm,10mm or 12mm, please do check to see what size you need before ordering. If you need a longer or shorter bar, then please ask, as we will probably be able to supply what you need. 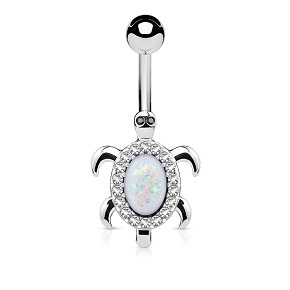 The turtle design measures 25mm x 20mm, and the 316L surgical steel bar is 10mm long. These upper ear piercing bars have 1.2mm surgical steel posts with a small 3mm screw on ball for fitting. 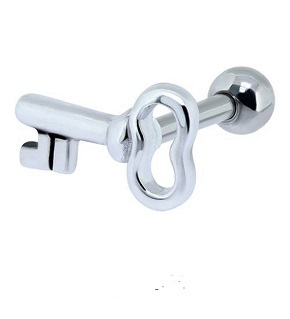 They are available with a 6mm and 8mm bar length. These surgical steel BCR's are available in a 1.2mm x 8mm or 1.6mm x 10mm size. These BCR's are available in a 1.2mm x 8mm or 1.6mm x 10mm size. 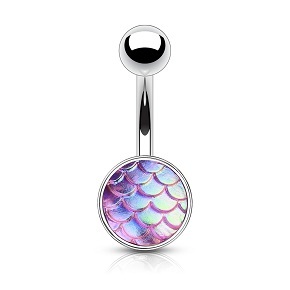 The 316L surgical steel bar is 10mm (3/8") long and the dangly design measures 40mm. 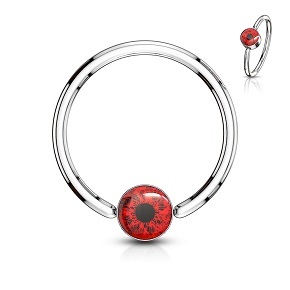 These picture captive bead hoops are available in three different sizes. These picture captive bead hoops are available in three diferent sizes, and also come in blue and green. These captive bead hoops are available in three different sizes, and also come in blue and green. 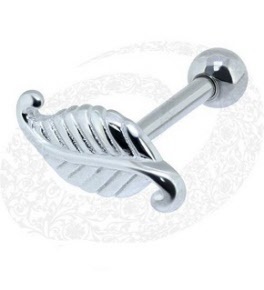 The 316L surgical steel bar is 10mm (3/8") long, and the design measures 10mm. 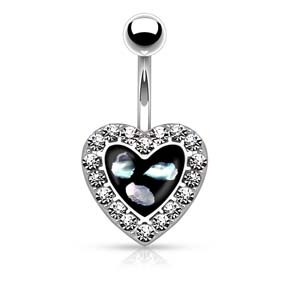 Pretty belly bar with a faux mother of pearl and clear crystal heart. 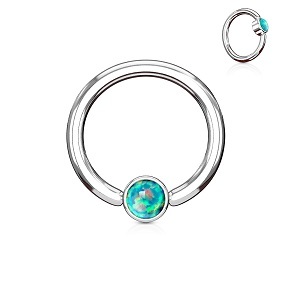 The surgical steel stem is 10mm (3/8") in length. 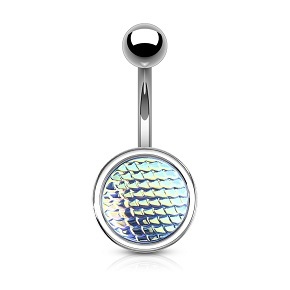 The 316L surgical steel bar is 10mm (3/8") long, and the fish scale disc is 8mm. 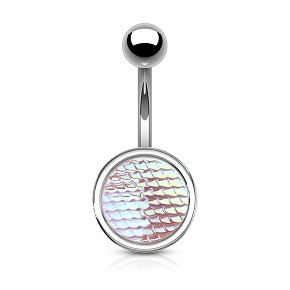 The 316L surgical steel bar is 10mm (3/8") long, and the fish scale disc measures 8mm. Unusual blue eye tongue bar which is available in four different barbell lengths. These 316L surgical steel barbells have a 6mm picture ball and 5mm plain ball. 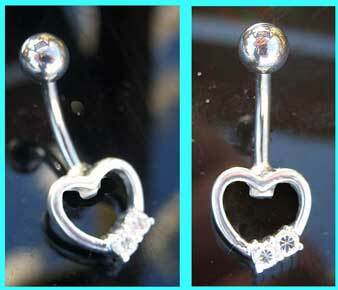 These 316L surgical steel barbells have 6mm picture balls and 5mm plain balls. 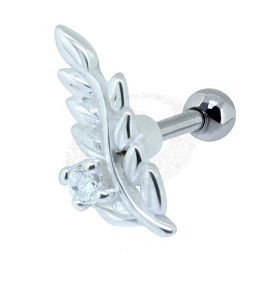 These upper ear piercing studs are available with a 1.2mm x 6mm or 1.2mm x 8mm 316 surgical steel bar.